Submitted by sylt on 2017-03-29 14:32. Dann sage ich Euch Lebewohl. Wenn Ihr später einmal einen guten und ehrenhaften Krieger sucht, zögert nicht, mich anzusprechen. (Then I shall bid you farewell. If you ever find yourself in need of a skilled and honorable warrior come speak to me again.)" 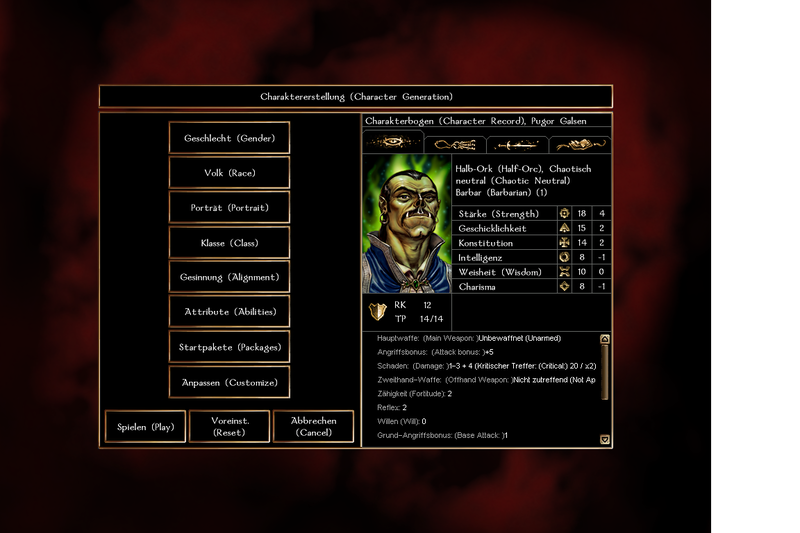 If you are playing the game in German for educational reasons and find it hard, this modification can help in understanding what's happening in the dialogue. 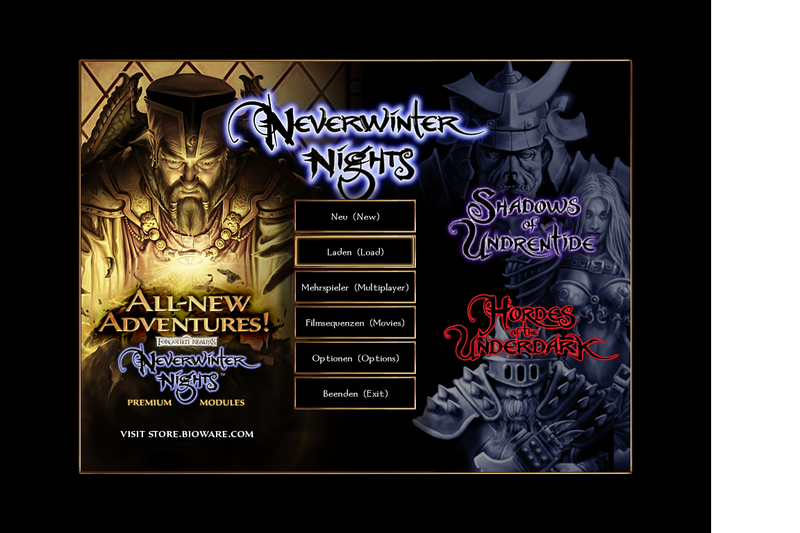 Install either the German or English edition of Neverwinter Nights depending on what audio language you want. 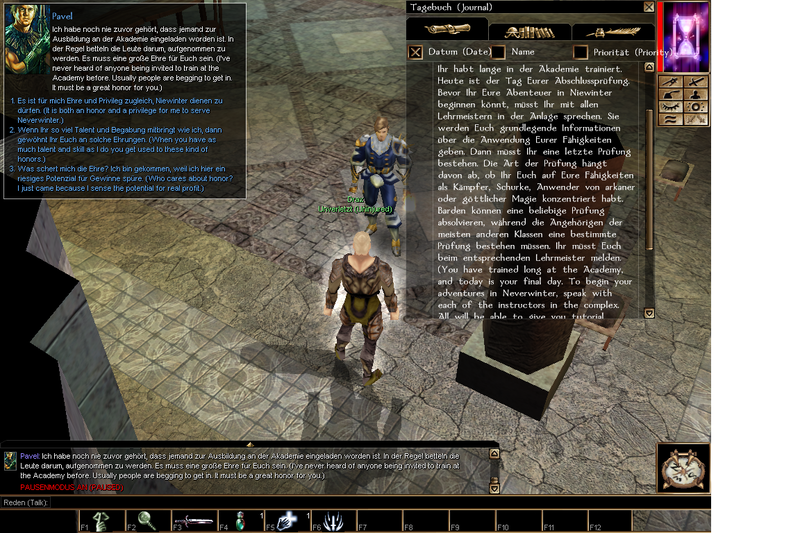 Replace the dialog.tlk file with dialog-german-english.tlk, and replace dialogF.tlk with dialog-german-englishF.tlk.